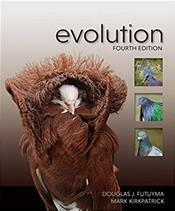 Extensively rewritten and reorganized, this new edition of Evolution--featuring a new coauthor: Mark Kirkpatrick (The University of Texas at Austin)--offers additional expertise in evolutionary genetics and genomics, the fastest-developing area of evolutionary biology. Directed toward an undergraduate audience, the text emphasizes the interplay between theory and empirical tests of hypotheses, thus acquainting students with the process of science. It addresses major themes--including the history of evolution, evolutionary processes, adaptation, and evolution as an explanatory framework--at levels of biological organization ranging from genomes to ecological communities.